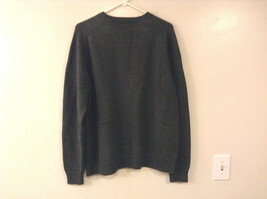 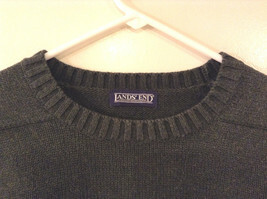 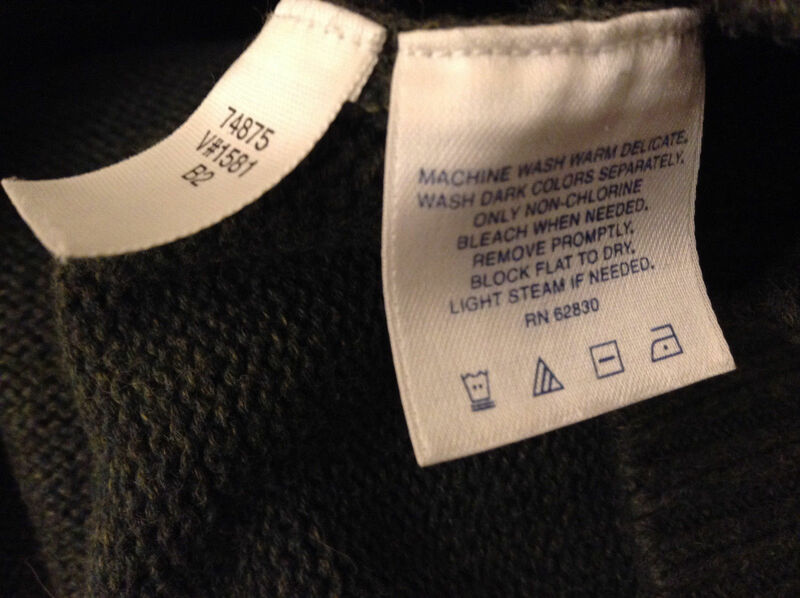 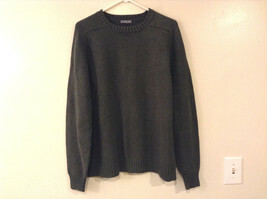 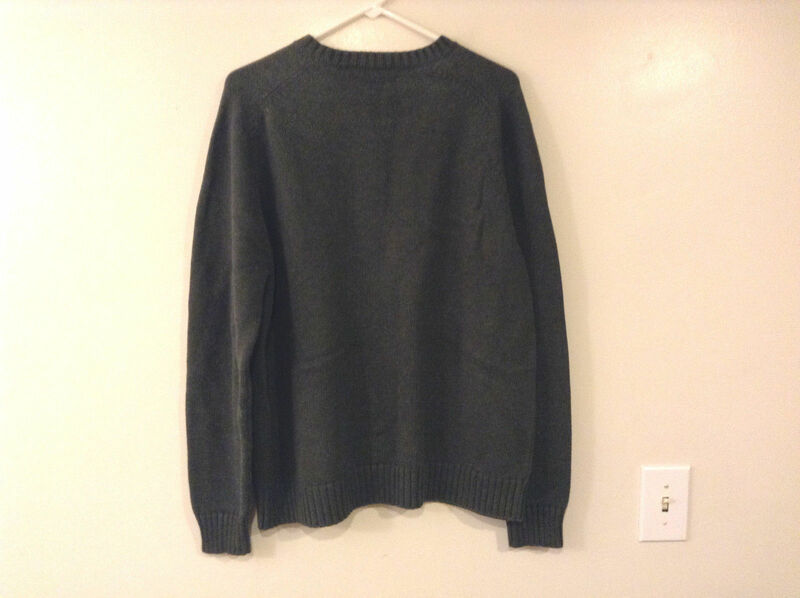 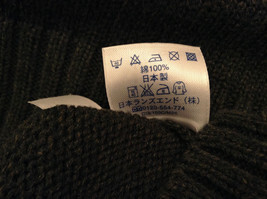 This is a Lands' End men's size L sweater. 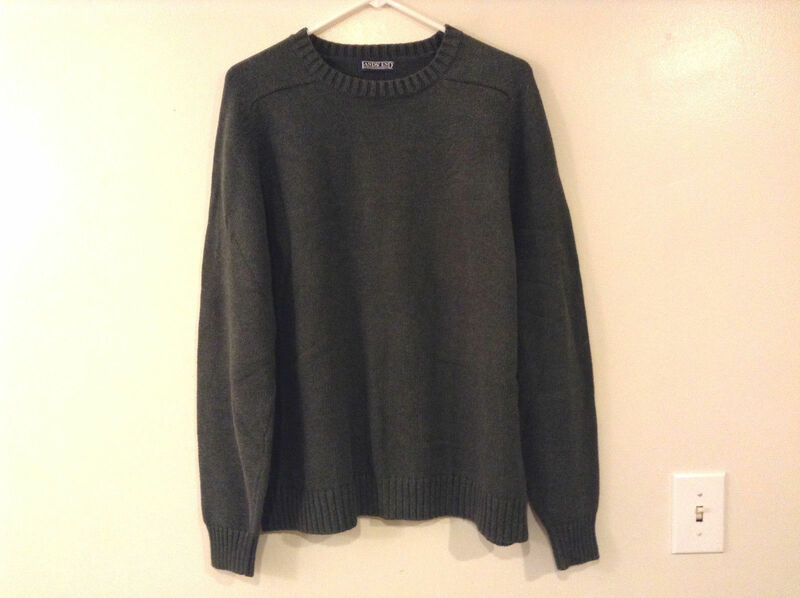 Crafted from 100% cotton in a heavy knit, this dark green sweater (a bit less desaturated in person relative to the photos) features a crew neckline, long sleeves, and ribbed knit trim. Please check the following measurements to ensure that the fit is right for you! 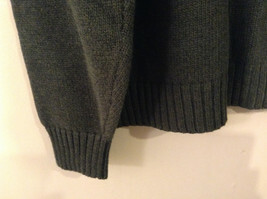 Shoulders (measured from shoulder to shoulder, across the back): ~16.5"
Sleeve length (measured from shoulder to the end/bottom of sleeve): ~27"
Chest (measured from underarm to opposite side with garment laid flat and closed/buttoned, across the front): ~22.5"
Length (measured shoulder to bottom edge): ~26"